presents an innovative range of multi-functional chemical peels tailored to suit a variety of skin types, aiming to boost skin cells in whitening, rejuvenation, reduction of acne and skin imperfections (post-acne scars and blemishes). Mandelic Peel 40% by DERMEDICS® is strong in action, deeply penetrating acid peel in gel, obtained from hydrolysis of bitter almond extract, designed for professional exfoliating therapies in beauty salons. 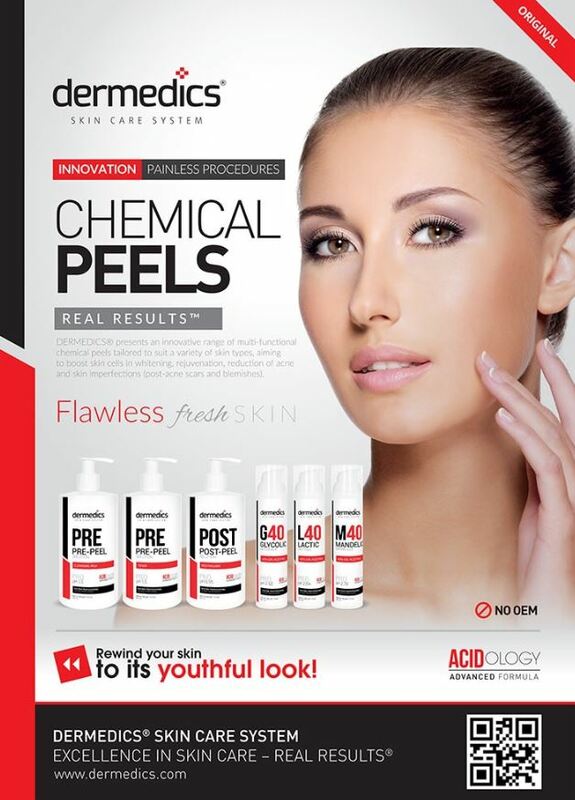 Glycolic Peel 40% by DERMEDICS® is strong in action, deeply penetrating acid peel in gel, obtained from sugar cane, designed for professional exfoliating therapies in beauty salons.